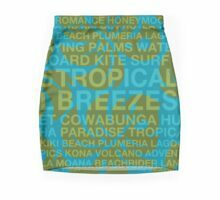 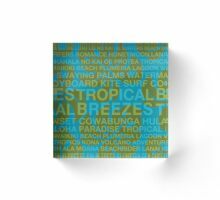 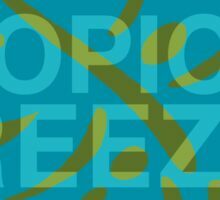 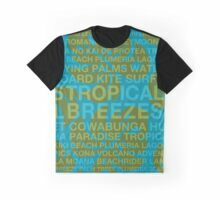 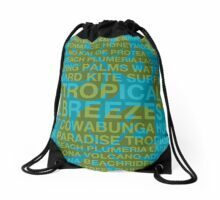 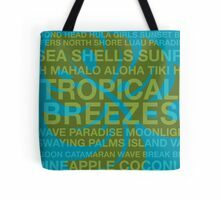 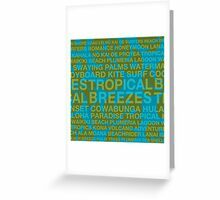 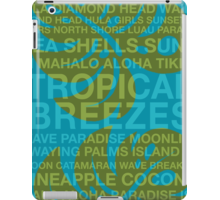 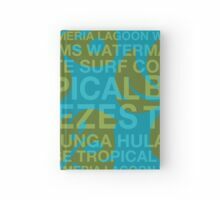 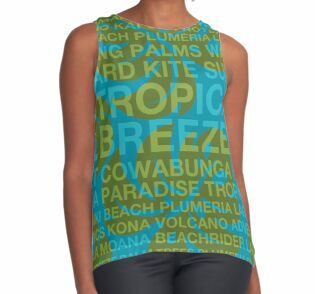 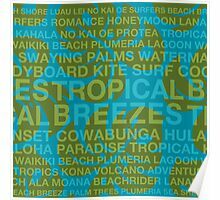 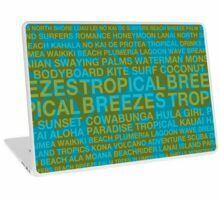 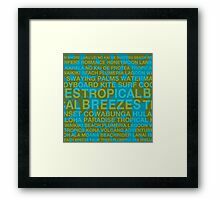 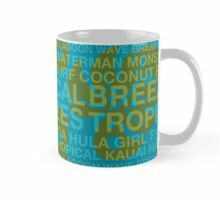 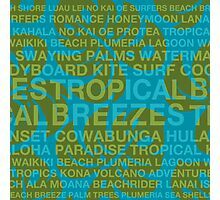 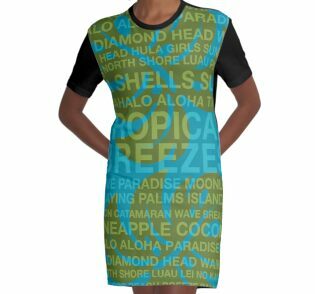 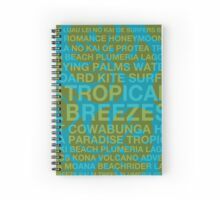 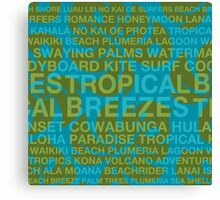 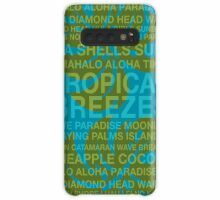 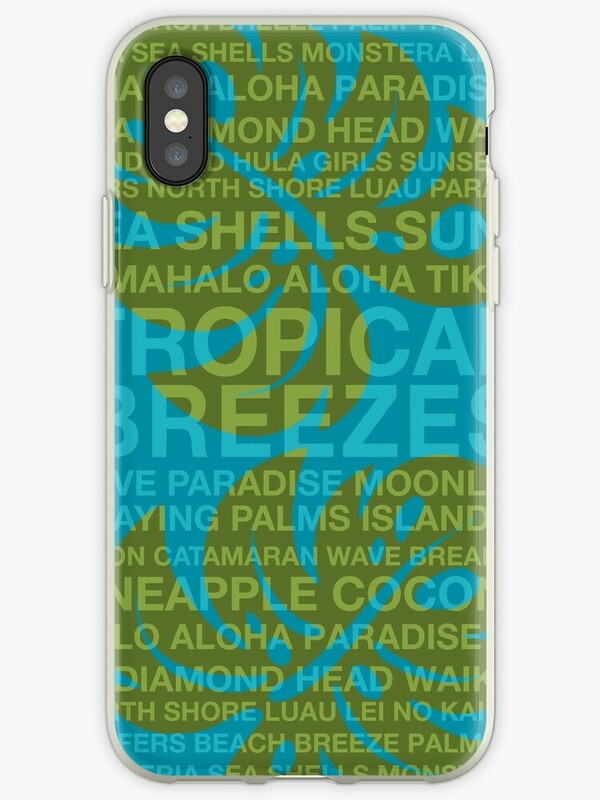 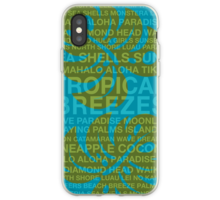 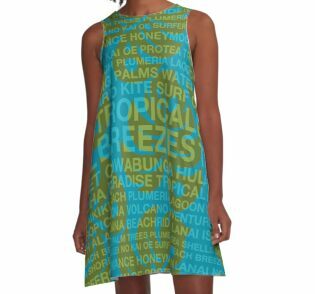 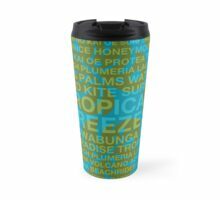 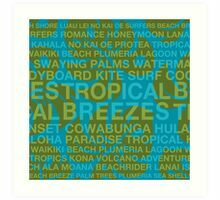 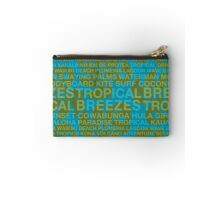 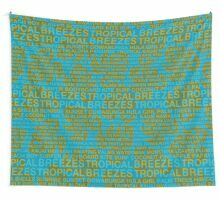 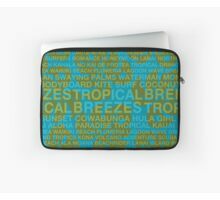 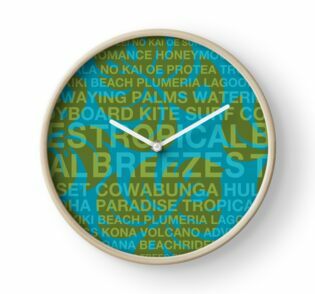 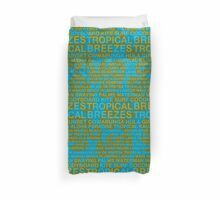 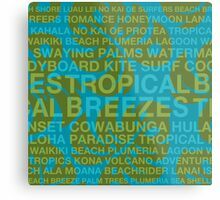 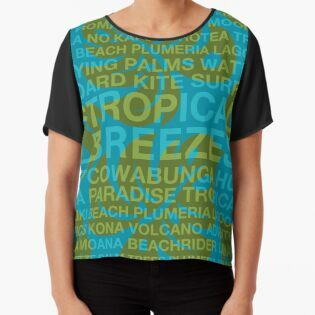 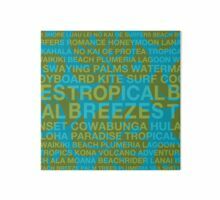 Words that mean summer: Tropical Breezes, Cool Blue and Tequila Sunrise combined with images of Monstera Leaves, Palm Trees, Hibiscus and create this graphic design. 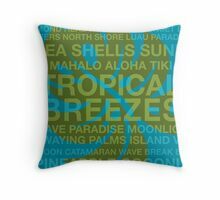 There are other home decorating items in the same design. The pattern is teal and olive green.